This post is a personal theory on how much or how little purchasing more camera gear helps produce better images as a photographer. Photography is a game of creativity; Expensive or more gear adds convenience and will increase the potential but, generally speaking, will not produce better pictures. Especially for those debating about entering the world of photography, the amount of gear available and the cost of that gear can be overwhelming to say the least. The first step is to define what is needed to meet personal goals. Don’t buy everything at once. Start with the minimum, learn everything there is to know about it, define and redefine the goal for the next step, carefully select the next gear purchase, and repeat. Now to the theory. 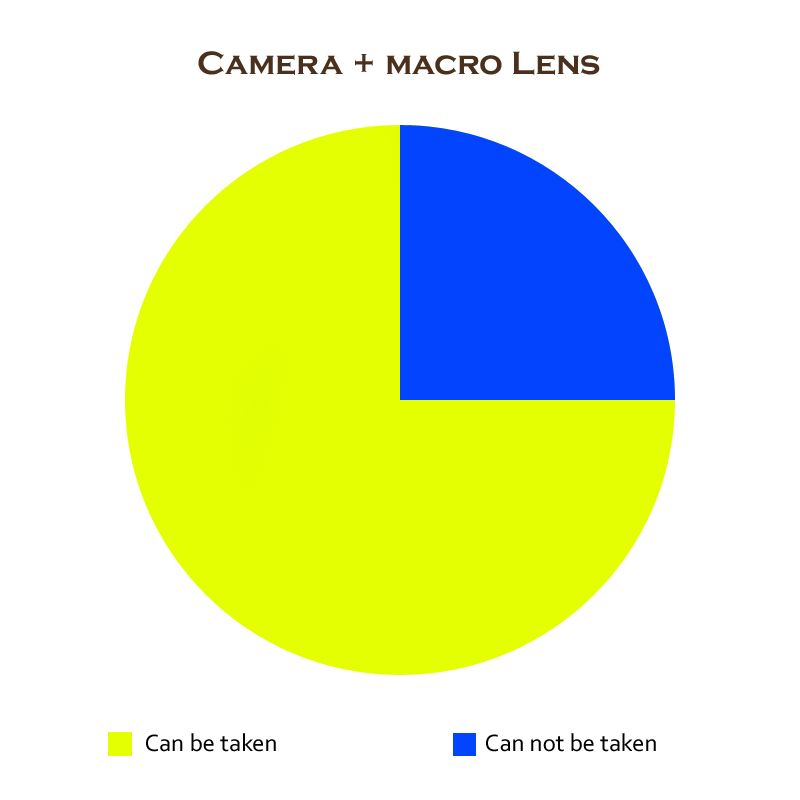 Consider all the pictures that are possible to capture – macro, night, long exposure, landscape, etc. Many of these images “require” special equipment, however, require in this sense is meant in terms of convenience – Photoshop and other image editors can do amazing things, but that’s for another post. 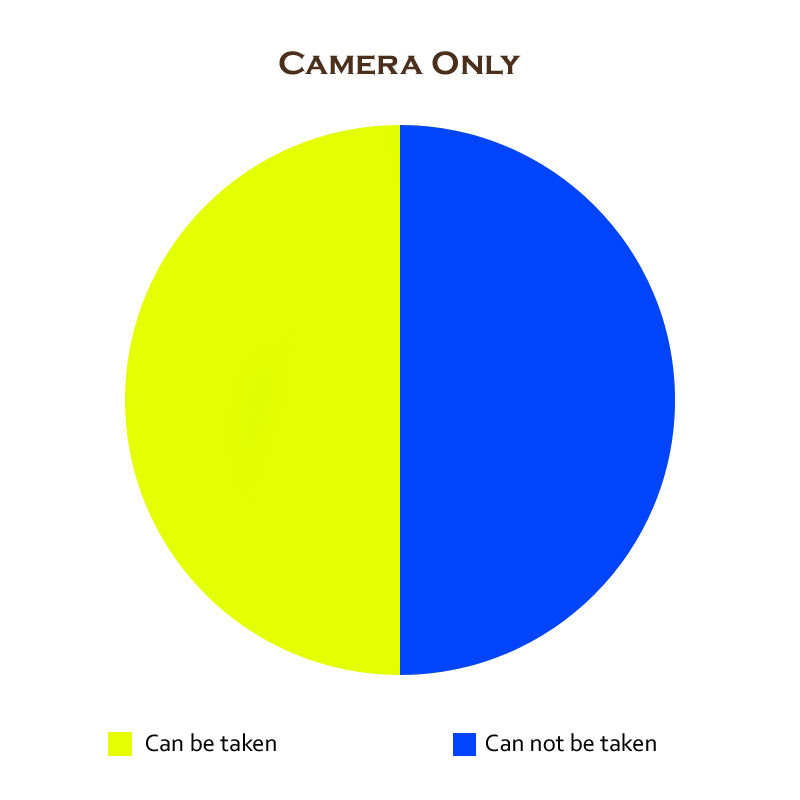 The circle in the first chart below represents all the pictures that can be taken. 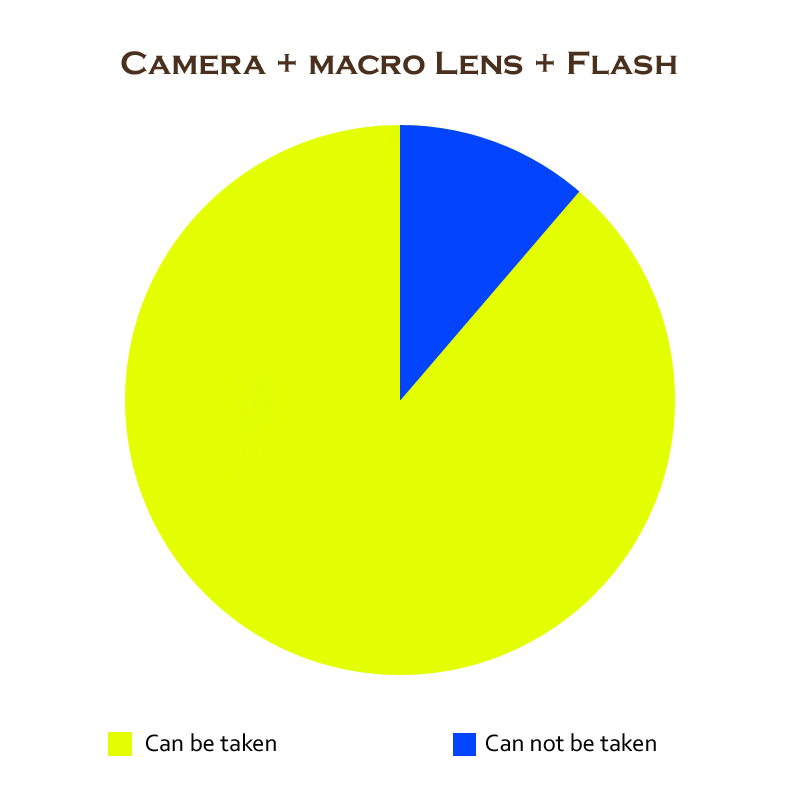 Having only a camera/camera+kit lens will enable the shooter to capture at least half of all the possible pictures, as shown in yellow. That leaves a lot of opportunity on the table but equally brings a lot of opportunity only a shutter press away. In the next example chart, a macro lens is added to the gear bag. The extra lens allows for the ability to explore the tiny world of bugs, textures unseen by the naked eye, and the depth of scars from the rough life of a coin. As delicious as this new slice of the pie tastes, the learning curve in this section is not nearly as steep as the camera alone. Everything learned about photography while digesting the first half of the pie can absolutely be applied to this next section and it will satisfy the appetite for a short time, but won’t sustain for nearly as long as the first half. Eventually, day time shooting will leave everyone searching for more. The on-camera flash has worked in a pinch so far but has mostly whet the appetite for more power and control. At this point, some of the excitement has likely turned to frustration. Not having enough light only produces a blurry pictures that lead to the what-if rabbit hole of having an external flash. After unboxing the new flash unit, low light pictures are now easier to capture, macro pictures taken inside are much sharper, and as the creative juices start flowing, the thirst for more inspires wading into the remaining untapped potential of using an external flash. Unfortunately, as with many things in life, it’s never quite as satisfying as the first time. The flash expanded the scope but not quite enough to get the gear monkey off your back. Be careful. At this point it’s too easy to become a gear junkie, spend too much money, and lose that creative edge. Take some time to re-explore the equipment on hand and revisit the possibilities available. Go back to the basics. Put the macro lens and external flash on the shelf and keep shooting until you’ve impressed yourself again. If there’s a button or function that has never been tried yet, learn it and use it. Only after learning to be happy with the current gear selection should the shopping begin again. Don’t just buy more gear, incorporate the next purchase into a life event. 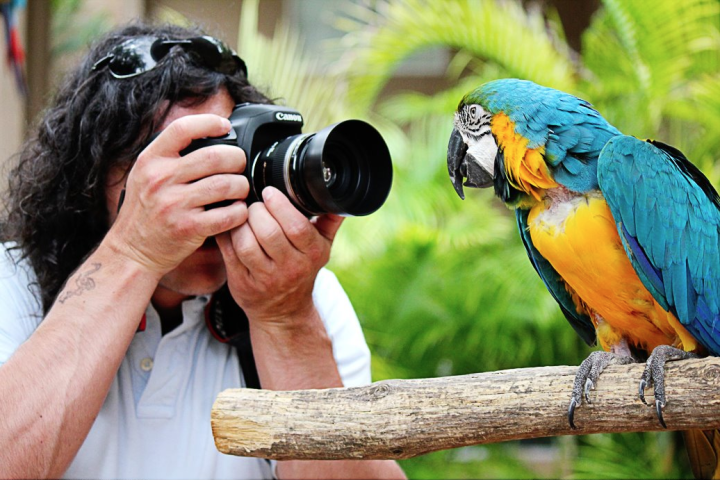 Plan a photography trip to somewhere incredible and budget the new lens as part of the trip. This is when being a photographer means much more than just being a person that has a camera. 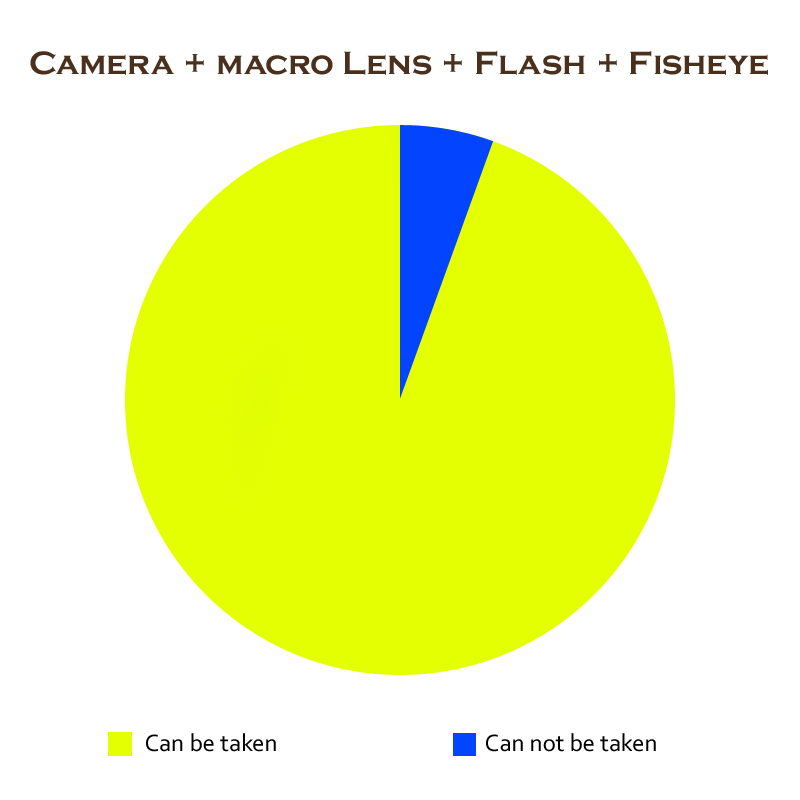 Fisheye lenses are highly specialized and have a very specific look most of the time. 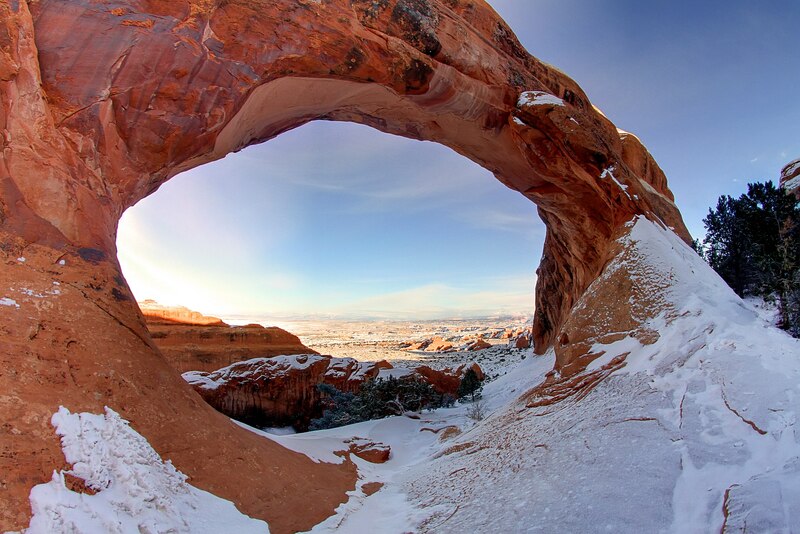 I’ve found that my fisheye excels in landscape photography and provides an unparalleled field of view. It’s especially exciting to know that when I’m mounting my fisheye lens, it usually means I’m experiencing an incredible view in a new part of the world. And that is one of many reasons that makes photography so much fun. Share the post "Diminishing Returns: What does more camera gear do for your photography"
This was my first lesson from you.